The world population is expected to reach 9.6 billion by mid-2050. Countries with lower standards of living typically have higher population growth rates. The Food and Agriculture Organization of the United Nations (FAO) estimates food production will need to double in some parts of the world by 2050. The confluence of these three factors raises the question of how are we going to feed these many people. Industrial agriculture and genetically modified organism (GMO) products were touted by multinationals such as Monsanto and Dow Chemicals as the answer to these problems. However, the emergence of research on the environmental risks of industrial farming, combined with the political implications of small farmers in developing countries being dependent on large companies for supplying them with specific seeds, pesticides etc. has many wondering if a better solution exists. Sustainable agriculture seems to address some of society’s concerns and many disruptive companies in this space are actively creating the future of farming and food. 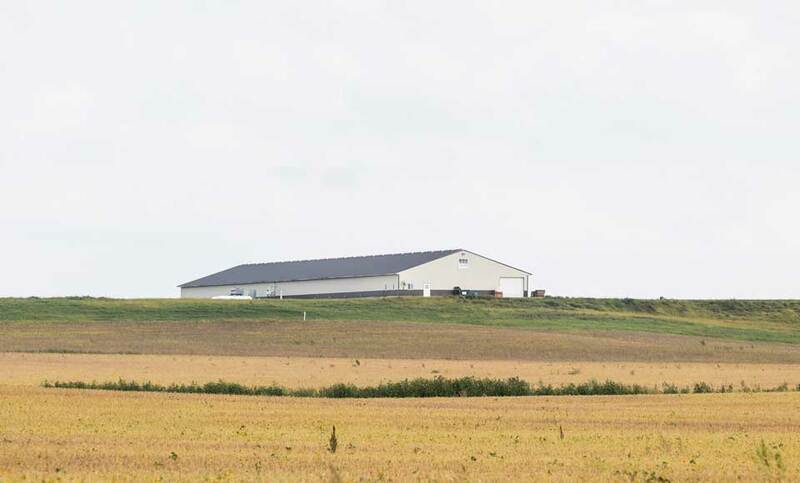 VeroBlue farms is a sustainable aquaculture farm in Iowa that specializes in Barramundi fish. While their neighbors engage in the farming of traditional products such as soybeans and apple orchards, the Nelsons – a third generation Iowa farming family- import thousands of fishes in plastic bags from Australia every year. 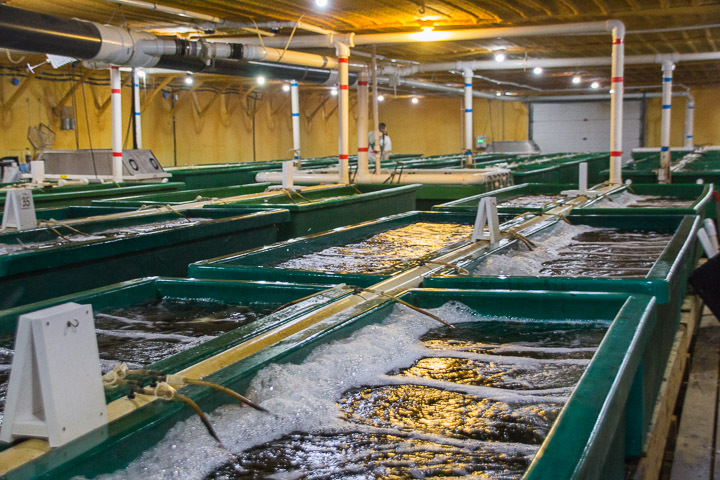 The fishes spend their adolescence in rectangular tanks where they go through accelerated aging after which they are shipped live to seafood markets and restaurants or filleted, flash-frozen to food distributors such as Sysco. Their operations were interesting enough to attract two Canadian investors in 2014 and have now set sights on becoming America’s biggest land-based fish farm and the largest domestic producer of barramundi, raising as much as 10 million pounds every year—more than double the current largest producer. Companies like VeroBlue are also better for the environment: A 2015 World Wildlife Fund report revealed that half of all marine vertebrates have been wiped out since 1970 because of pollution, climate change, and industrial fishing. The FAO director general praised aquaculture saying, “If responsibly developed… aquaculture can generate lasting benefits for global food security and economic growth,”. However, in an industry that has typically been dependent on large economies of scale, small farmers have been at the mercy of large MNCs who hold most of the supplier and buyer power. VeroBlue must expand horizontally and vertically in order to achieve its financial and social goals. Scaling Horizontally: Despite being in the relatively niche industry of sustainable Aquaculture; VeroBlue, like most farmers, is essentially in the commodity business. A corollary of being in the farming industry is exposure to the cyclical volatility of commodities. Focusing on just one agricultural product allows them to become very specialized and efficient, but a downturn in production or prices can destroy their entire business. VeroBlue should look at similar agricultural products where they can easily transfer and apply their existing technology and knowledge. Sustainable poultry farming offers a very attractive growth opportunity. The expansion into poultry farming is a lot more capital intensive than aquaculture. However the margins are significantly better, a dozen free range eggs sell for about $5 at a gross margin of 39% per dozen, compared to 22% for aquaculture farms. The poultry products can be combined with the fish products and a well-known brand, offering economies of scale, diversification of risk and gives VeroBlue more supplier power in relationships with their buyer. Scaling Vertically: VeroBlue has generally only been able to compete on price and with large food distributors like Sysco dictating the prices, it is obvious why farmers operate on such razor-thin margins. VeroBlue must develop a comprehensive marketing unit that allows them to market themselves as different from other sustainable fish and essentially transition VeroBlue into a Consumer Packaged Goods (CPG) company. Currently, they sell fish that is very similar to their competitors’ fish and the only way they can grow their market share is through lower prices. By developing a marketing unit that handles advertising, distribution and product packaging, they can advertise their fish as being a better quality fish and price the product at a premium. A similar strategy has been employed by multiple farmers over the years with great success, the two best models for this strategy are the Amazing Pistachios and Pom Wonderful brands by Resnick Farms. Resnick Farms used to sell their pistachios to buyers at close to breakeven prices. However, after an effective, marketing campaign they created the Amazing Pistachios brand and were able to transition from selling a commodity to selling a branded product at a ~200% markup. The development of their own in-house brand would also allow them to sell directly to consumers on an e-commerce platform. Bypassing all the supply chain middlemen significantly improves their margins, expands their customer base, and allows them tighter brand control. If VeroBlue can develop a well-known brand it also unlocks strong, intangible brand equity value which can be realized through an acquisition by a larger sustainable agriculture company such as Hampton Creek Foods.